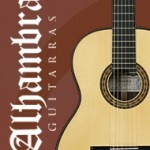 Philippe Bertaud Signature Model for Alhambra Guitars. 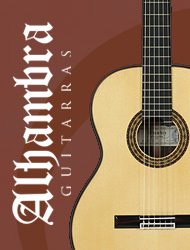 Alhambra Guitar Philippe Bertaud Signature Model embodies the essence of Philippe’s unique musical voice. What defines a true signature artists is to do the defining. And Philippe does it with an instrument that both inspires him and provides a reliable performance tool. This model has evolved from a standard Alhambra Guitar model that the artist has played for years, incorporating additional design elements that help express his aesthetic preferences. Representing a wide range of musical genres and playing styles, Alhambra Guitar Philippe Bertaud Signature Modelremains true to the artist, along with Alhambra Guitar’s own signature traits of clear tone and superb playability. For many years now, Philippe Bertaud has been playing on Alhambra Guitars, alternating Luthier India with a cedar top and a spruce top Linea Profesional. “What I love about the Alhambra Guitars is the projection, the responsiveness, clarity and great balance.”Needing a model that will combine the warmth of his Luthier India with the punch of his Linea Profesional, the guitar makers at Alhambra Guitars have been working closely with the artist to create a new model that Philippe can use on stage as well as in the studio. Alhambra Guitar Philippe Bertaud Signature Model is a beautifully guitar crafted by two of the master luthiers at Alhambra, Mengual and Margarit. First the two master luthiers came up with a totally new type of bracing offering the best qualities of the guitars Philippe owns. A revolutionary bracing pattern that gives it a really phenomenal sound. The neck curve has been tweaked to offer a better comfort and the action lowered. Philippe also asked for different machine heads and Alhambra worked with German Thomas Rubner to create high precision tuners that are not only smooth but also look gorgeous. The inlays are simple and the headstock has a Moorish style inspired by the Andalusian architecture. Fullness, tone quality, craftsmanship, volume, projection, and playability are superb. This guitar is the fruit of the collaboration between one of the greatest living guitarist with the fine work of the luthiers at Alhambra. The quality of construction, the woods selected, and the tone and playability of this guitar is consistently superb, as one would expect. Philippe collaborated with D’Addario Strings to find the right string combination that will come in a new set in the Spring. One model for studio use and the other one for stage. German spruce exceptionally stiff and sonically dynamic; producing a warm, woody sound with a noticeable high end response. PREMIUM GRADE Rosewood with an extremely high velocity of sound and a broad range of overtones. Ebony is often the fingerboard material preferred on better quality instruments. It is often chosen for its resistance to wear and the hardness of the wood contributes to the tone produced by the instrument. Philippe will be presenting his Signature Model at Winter NAMM show.